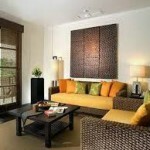 It is said giving a false ceiling design to the room competes the room design. But it’s not just the false ceiling which can be only an option go for a ceiling design. There exist a many more of them and better even. When you are suffering with low height rooms you can’t afford to have a false ceiling design hence you have to settle down with no designs on the ceiling. But you can break the ice and make a comeback with mural art work ceilings. Mural wall paintings, mural ceiling art, all being invented during the periods time but got bit unpopular soon after the emerge of false ceiling concept but, trust me they can even rule today, they have the power to get connected to the modern design concepts and modern techniques as well. 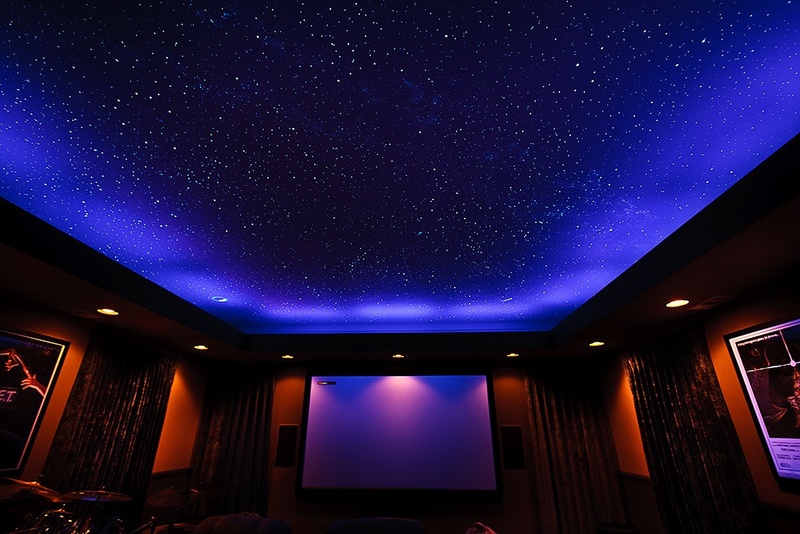 The ceiling is the largest free space in your home or building which can be dressed up well according to your choice and colors. They hardly engage any furniture space; they hardly are being employed with any heavy stuff around. They are among one of the much free space to get up designed well. 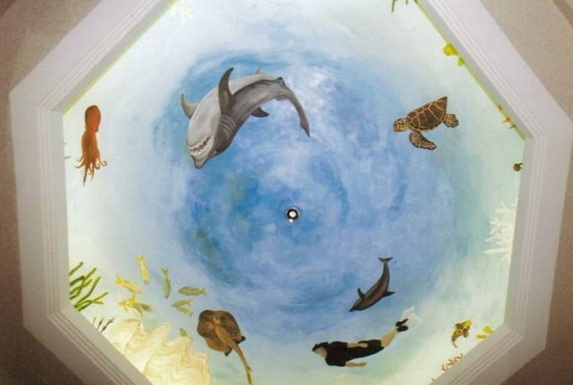 Try out few colors of mural art work for your ceiling design to get an elegant, bold and unique look. 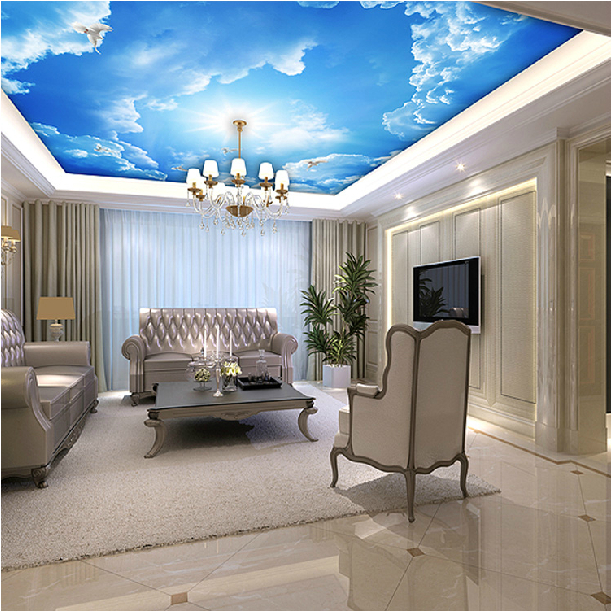 Just in case a cloud ceiling mural can rise up the ceiling, enhance the architecture of the space; create the illusion of height, while bringing color and a sense of light to the room. It is like a magic, isn’t it? 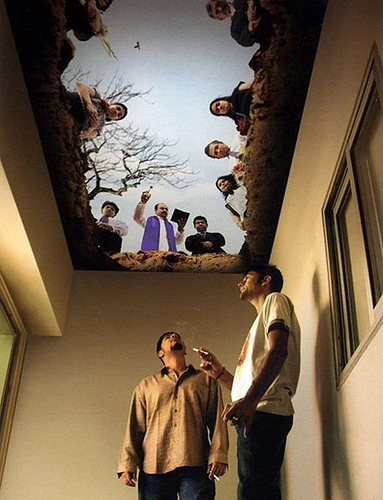 Ceiling paintings create artistic effects and expand your space. 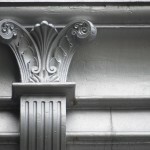 They can actually provide a designer and decorative finish to your projects and room design settings. Painting with three dimensional effects create a sense of drama and interest in your dull and boring room settings. They equally work well in long galleries, hotel lobbies, halls etc. Vacant and long space needs a three dimensional painting work to create and maintain interest to the designing work of the respective area and trust me ceiling paintings are one of the experts in that. 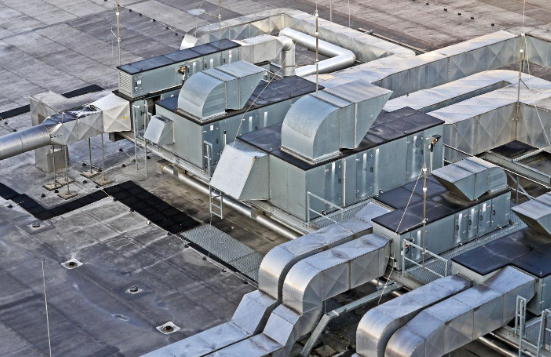 They have immense power to fabricate and hold up that dramatic interest to the space where they are being applied. Make cinema halls, wedding halls, etc. more real and impressive with radium mural paintings. They are effective with both the turned lights and off lights. The shine and glamour of radium mural art brings one the most impressive and elegant show to the interiors. They enhance your design settings as well as the glow of radium glams up the occasions and celebrations. They are a perfect fit for cinema halls, celebration halls and kids rooms. Kids love the glow of radium art work when the lights are turned off. They directly connect themselves to the world of angels, sky, clouds and stars. With the aesthetic effects, visual impressions and designer looks they hardly pumps on your budget issues. Once install they can be repainted after say every 5 to 7 years according to the changing age, moods, choices and designs. 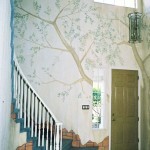 Mural art work on ceiling is perfectly compatible and acceptable for formal as well as informal spaces. 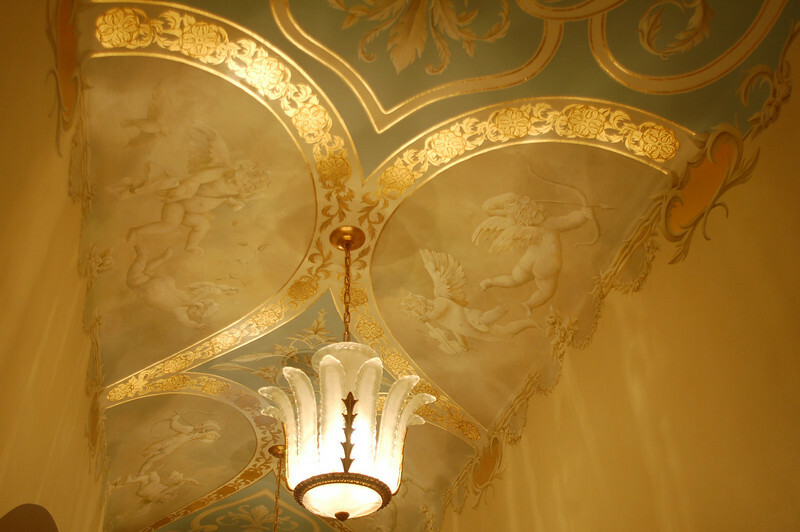 Make your projects more complete, impressive and young forever with this impressive old but gold art of ceiling design. 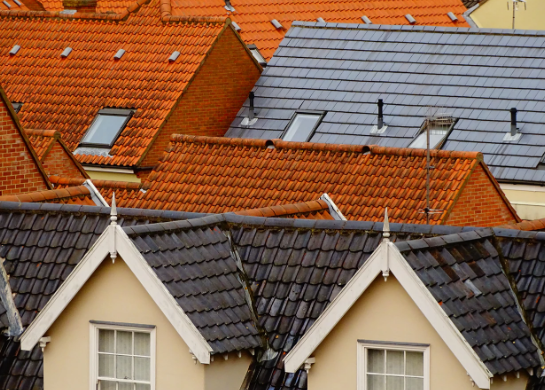 What are some unusual features that would be great to add to a new home under construction?